Are you too busy to clean your residential property in Orlando, FL? Probably, you don’t like coming back to a dirty home after work every day. Your family time might even get wasted in the process of cleaning your home or apartment. When you want to save more time for other important matters in the life and can’t handle the cleaning of dust surfaces, stained floors and foul odors around your residence, professional residential cleaning services in Orlando, FL will bring ultimate relief! At Mean to Clean, we know how hard it can be to keep your home or apartment clean while looking after a family, going to work, and having other priorities in the life. That’s why; we offer the best quality residential cleaning services in Clermont, FL, so our customers won’t have to bother about cleaning the residence on their own. No matter it is a one-time cleaning, weekly/monthly cleaning or spring cleaning you need in your residence, our wide range of choices in residential cleaning services in Orlando, FL are sure to be the right fit. Do you want your residential cleaning needs in Clermont, FL to be addressed fast? Don’t you like to see your multiple plans for residential cleaning getting spoiled? At Mean to Clean, we will give you a professional cleaning treat at your home with thoroughness, care, and diligence. Our professionally trained cleaners specialize in removing the dirt and grime so that your residence looks spotless all the time. For the last 10 years, we have been providing top quality residential cleaning service that Orlando, FL homeowners desire for. Book with us and keep out one more thing off your “to do” list. Contact us at (407)614-3951 for the best experience through our comprehensive residential cleaning services in Clermont, FL. Having custom residential cleaning schedules saves you from the inconvenience and disappointment. 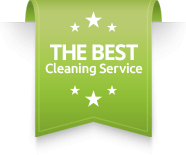 We make sure you have the most satisfactory professional grade residential cleaning services in Orlando, FL on demand. We are to train our residential cleaners in all aspects of house cleaning so that you will find them to be efficiently cleaning and worth trying out. Our cleaning packages can be custom tailored to allow you spare your time for family and a sparkling house to live in all the time! Don’t think much; just call us at (407)614-3951 for booking your weekly, biweekly or monthly residential cleaning service now. Mean to Clean’s residential cleaning services in Orlando, FL includes an in-depth sweeping and mopping of all bare floors; dusting drawers and furniture, and wiping all counters and appliances until they shine. Our Orlando residential cleaners will carefully clean each area of your bathrooms, bedrooms, and kitchen so that they have a new spark. You can call for our residential Cleaning Service in Clermont, FL for a highly satisfactory house cleaning experience. Let Mean to Clean take the stress out of your residential cleaning in Orlando, FL! Our house cleaners are friendly, reliable and background-checked to provide you with an exceptional experience in residential cleaning using the safest practices and products. To get a free quote, contact us at (407)614-3951!